Becoming an RHA landlord is easy. If you have, or will have an apartment available for rent, simply click here to sign up and begin listing your available apartment units online or by calling 1-866-466-7328 or via email at moc.8noitcesotog@troppusdroldnal . The apartment listing is made available to all RHA Rental Assistance Program Participants. If you agree to lease your unit to an RHA participant, you and the tenant must complete and return the preliminary paperwork to RHA. RHA will review this paperwork and schedule an inspection of the unit. If the unit and the rent are approved, the owner and RHA execute a Housing Assistance Payments (HAP) Contract. Screening of potential tenants is your responsibility as owner/property manager, RHA cannot guarantee or recommend the suitability of any tenant. Stable/timely payments. RHA's portion of the monthly rent is sent directly to you on the first business day of the month. Regular HQS inspections of your rental units. These inspections often alert owners to potential problems. 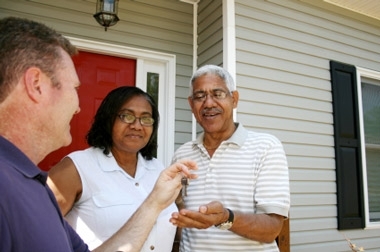 Access to 9,000 active renters in the Rochester region. On any given day, RHA has 300 - 600 active families searching for a new place to live.